The First Squad reports the details of an Assault which occurred on Monday, April 20, 2015 at 9:00 P.M. in Roosevelt. Roosevelt, NY - April 21st, 2015 - The First Squad reports the details of an Assault which occurred on Monday, April 20, 2015 at 9:00 P.M. in Roosevelt. According to detectives, a male victim, 29 years of age, while in the vicinity of 141 N. Long Beach Road, was approached by 2 male black suspects on bicycles who attempted to rob him. A struggle ensued and one of the suspects produced a gun and shot the victim. The suspects fled on foot westbound on Debevoise Avenue and the victim ran before collapsing in front of 117 West Centennial Avenue. The victim suffered one gunshot wound to his mouth and was transported to an area hospital for treatment to his injuries where he is listed in stable condition. 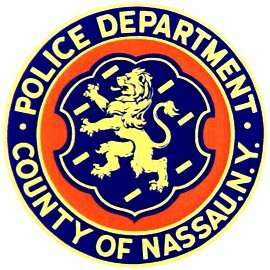 Subject: LongIsland.com - Your Name sent you Article details of "Man Shot in Roosevelt After Mugging Attempt Went Awry"